It is important to understand the US' role in Iraq and Afghanistan. The goal of this webquest is to learn the history between the two countries, the United States history of involvement with the both, and why we are at war with both. After you have learned about the two you will be asked to examine a current issues in today's news, Syria. You must learn what the conflict is, decide why are why not the US should get involved, and if we get involved which side do we pick and why. There are consequences for every action, which you will learn about in this webquest. Another thing to keep in mind is religion plays a huge role in everyone's life in the Middle East. It's not a weekend thing like it is for many Americans; it's an everyday thing. There are two main branches of Muslim beliefs the Shia (Shite) and the Sunni. (Like the Protestants and Catholics.) These groups are not just religious groups but they are also political groups too (Like the Democrats and Republicans.) There is no separation of church and state. In the world the Sunni are the majority and the Shia are the minority. The Shia believe that leadership should be based on Muhammad’s direct bloodline. (Someone in power should be a descent from him.) The Sunni believed bloodline doesn’t matter but leadership should be based on the teachings of Muhammad. Now there is a lot more to all of this, which you can see in the video. Watch video on right now -> -> -> Please keep in mind as you are on this webquest there is a lot more information out there about these two countries/wars and you are getting just the very basics. What are the differences between Sunni and Shia Muslims? from British Council USA on Vimeo. 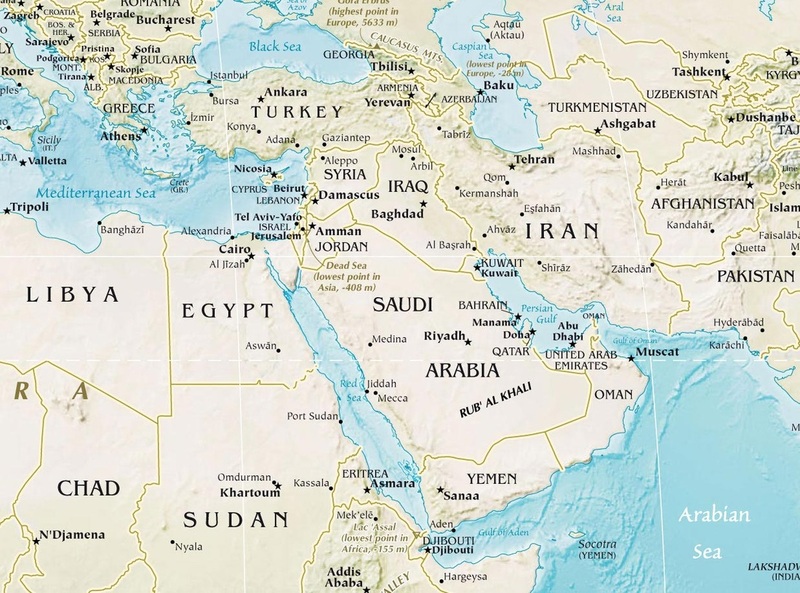 1st task: Please look at the map and locate where Iraq and Afghanistan are.